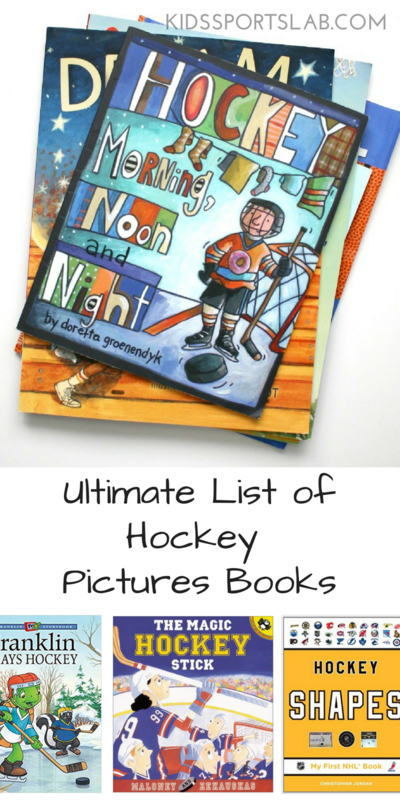 Looking for the perfect picture book for your child or little one who loves hockey? Here are a few that are sure to spark a smile and be loved for many reads to come. This is one of our boys very favorite books that we read over and over. 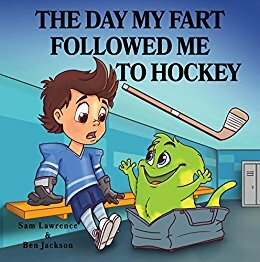 It’s the sweet story of little boy who loves playing hockey with his family and friends on their neighborhood rinks and incorporates hockey into so many aspects of his childhood. You can’t go wrong with this. 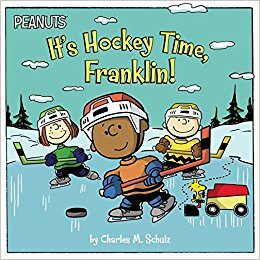 Franklin, an avid hockey player, expects a fun and easy-going afternoon skating with his friends. It doesn’t turn out to be such a simple adventure. 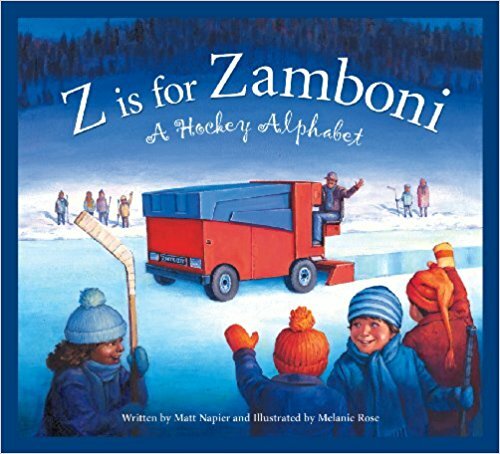 But with a little creativity and cooperation, he finds a way to make it all work and skate with his friends in a game of hockey. 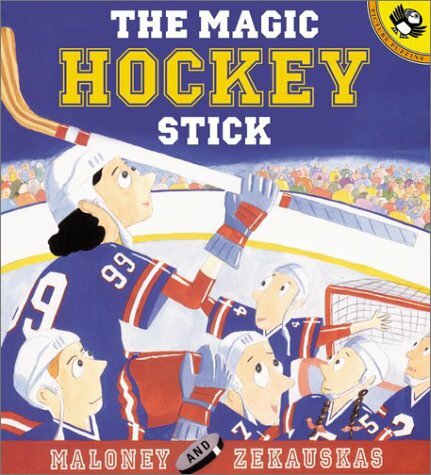 After her parents accidentally buy Wayne Gretzky’ stick from an auction, the girl finds out the sticks has some magic powers to bring out the best in any player. But the luck it brings to her seems to come from Gretzy. Fortunately, the kind-hearted little girl knows just how to help The Great One get his game back. 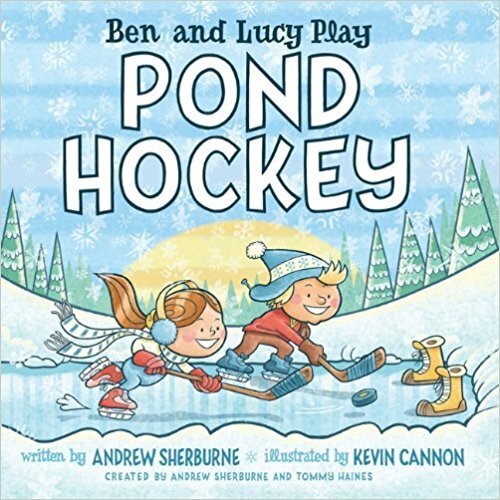 A fun rhyming book all about two kids who love playing pond hockey with their friends. 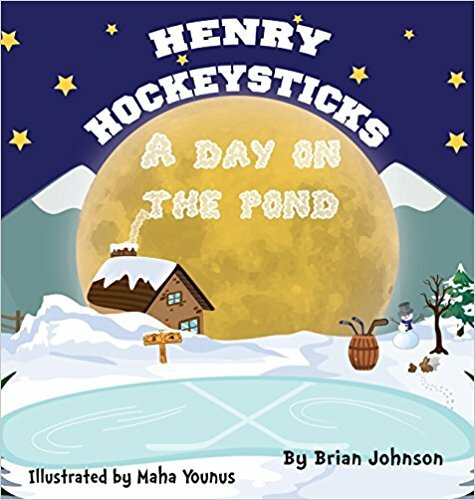 Franklin and his friends love playing hockey together on the local pond during the winter. After years of practice, they often win. 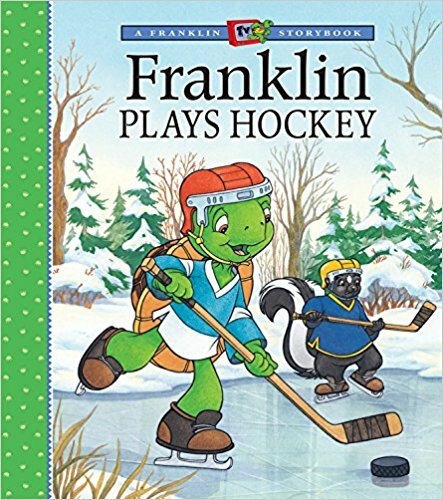 When Skunk, who hasn’t played hockey before asks to join the team, they start losing and Franklin has a hard time handling the losses. Although it doesn’t feel great to lose, Franklin realizes the importance of including new friends and teaching others how to play. More books in this series. 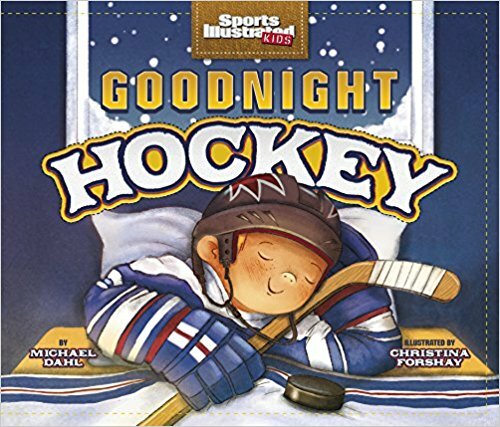 Each of these books in the Goodnight ____ series is a fun rhyming story that incorporates many aspects of watching these games and being a fan of a favorite team. 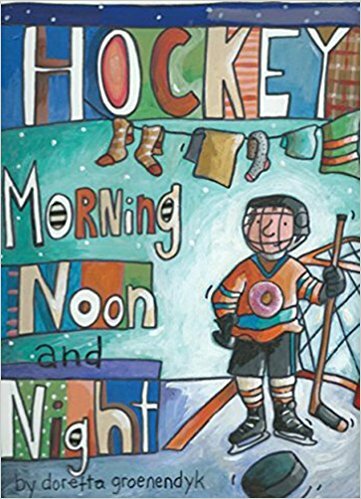 The first half of each book is a simple rhyming style about a family that attends a local game and cheers for their home team. Our boys really love this whole series of books. Henry loves hockey and couldn’t be more thrilled to wake up and find that his dad shoveled off the rink and it’s ready for skating. He invites all his friends over for good old fashioned outdoor hockey on the pond near his house. It’s not surprise when this little boy gets nervous about his upcoming hockey tryouts. He has a little friend he calls fart who follows him everywhere, even when he’s not necessarily invited. While silly, our boys get such a kick out of his friends name and this book always warrants a lot of laughs. Each page includes a short poem highlighting the next letter in the alphabet. It’s written in pretty pose and with artistic illustrations, not a typical children’s rhyming rhythm, which is a nice shift from what we usually read and great for a wide range of ages. More books in this series. 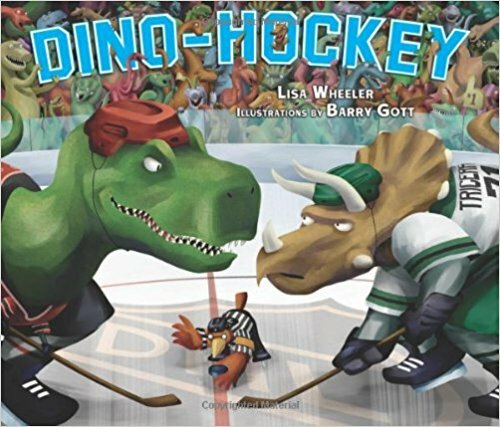 This is a story of an intense hockey game between two teams of dinosaurs. The story is fast-paced and includes a lot of references to real dinosaur names. Our boys like the references to real sports terms and types of plays, and we think they are especially great for kids who love dinosaurs. More books in this series. 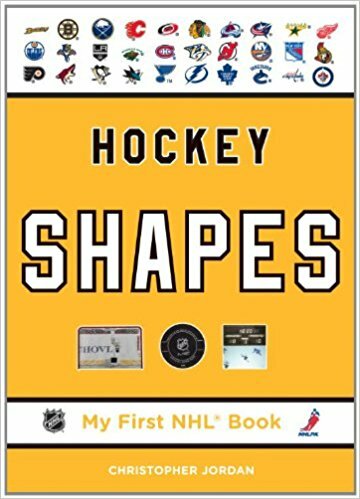 This book uses hockey terms, equipment, teams and towns to teach shapes in a quick and easy board book format. Although it can be great for very young children, our three year old loves every book in this series. More books in this series. If you find you love one of these books, we’d be thrilled to see you share the book or you reading the book on social media. Be sure to tag us @kidssportslab with #SmartsForSportyPants so we can see it and maybe even feature you!